I know this recipe would have been more helpful weeks ago when you were planning your Cinco de Mayo festivities. I apologize. For that and for the fact that I’ve been absent – it’s unacceptable, I know. With that said, I wanted to share with you one of my all time favorite recipes. Guacamole, need I say more? I guess I should admit that I’m an avid Mexican food connoisseur and have subsequently done my research over the years, all over the world – including Mexico itself. 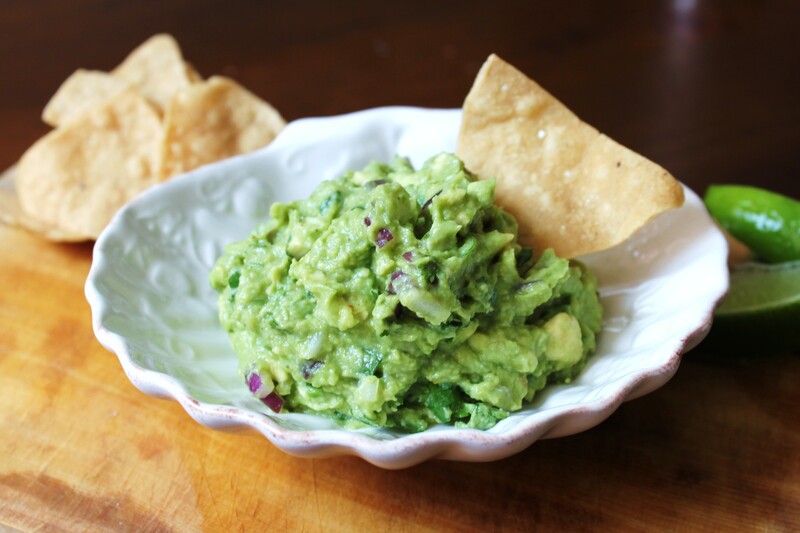 Guacamole, made by mashing avocados in a molcajete, originated by the Aztecs in Mexico in the 16th century. Over the years it has been adjusted to what we see here in the US today. 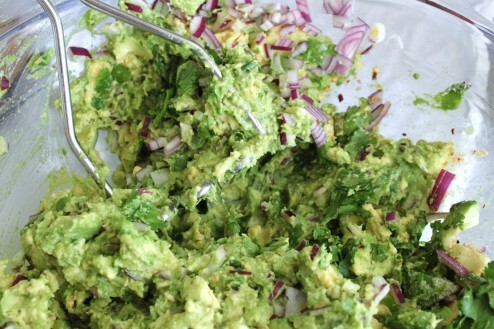 My recipe calls for no less than 5 large Haas avocados, anything less is a crime (well, unless you are making it for just yourself). It’s chunky and does not include tomatoes. Tomatoes are for salsa, I’m just saying. What makes it special is what I call the ‘resting’ period. The longer you can let it rest before eating, the better it tastes. 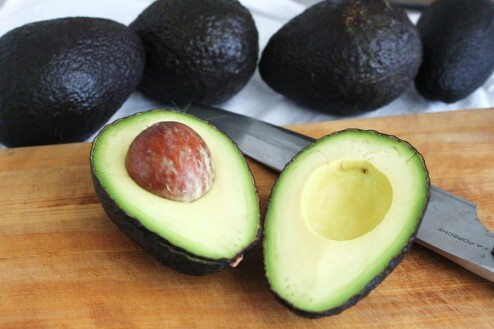 I’m starting out by sharing how I prep the avocados. 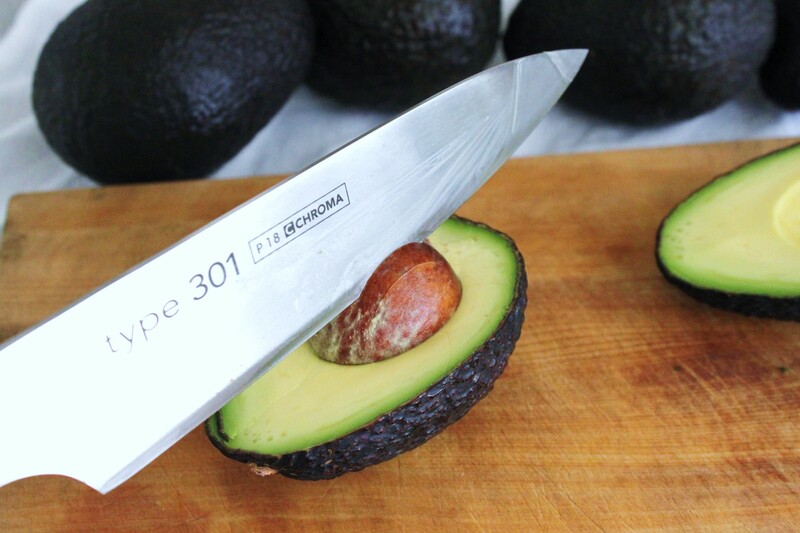 I run the knife round the length of the avocado. Then I twist it open. Then I hit the pit with the knife and twist. 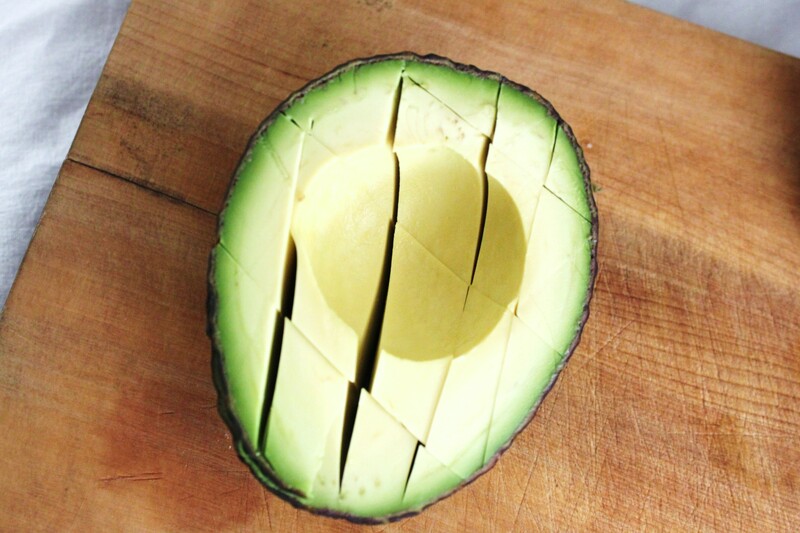 Don’t do this while holding the avocado, do this on a cutting board. 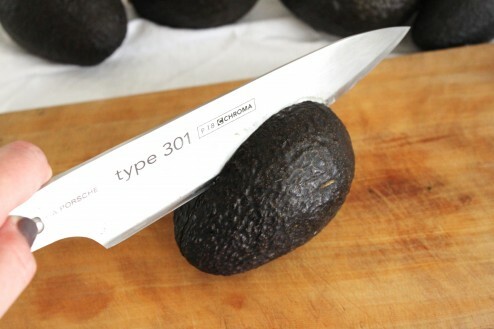 I then score the inside of the avocado with a knife. 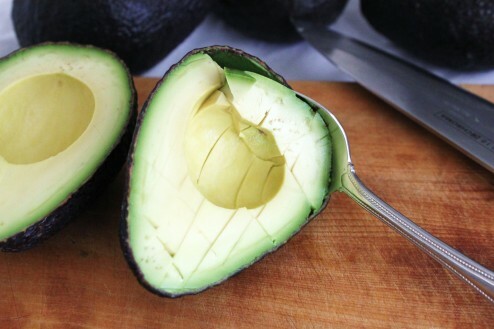 Again, don’t do this while holding the avocado. Trust me. I then scoop it out with a spoon. 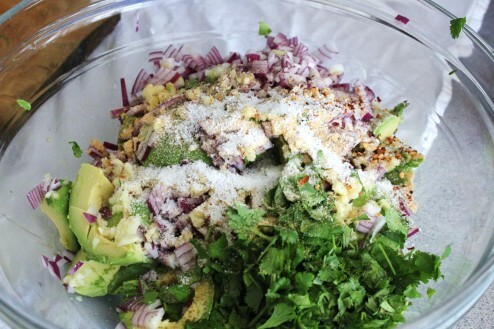 Add all of your ingredients into a large bowl and roughly mash until combined. Even this is a little too mashed for me. I like it a bit chunkier. Let is rest. The longer the better. 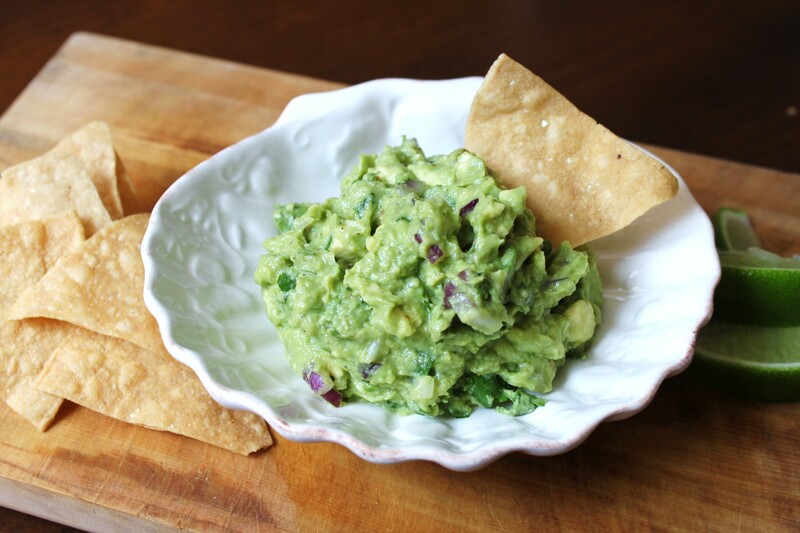 Serve with corn tortilla chips, the more authentic the better. This is great in tacos or just by itself. Enjoy. In a large bowl, add skinned, diced avocados. Add lime juice and stir gently until just coated. Add remaining ingredients and mash with a potato masher until combined but not smooth. Spoon into a serving bowl and refrigerate for at least two hours. Remove 30 minutes before serving to allow to come to room temperature.